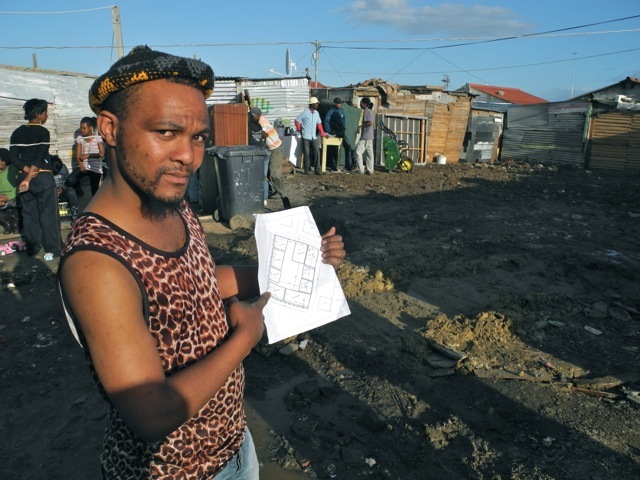 Re-blocking as an innovative approach to urban informal settlements. the question really is: What constitutes a ‘successful’ city – and ‘ground-breaking’ solutions? In a time of mass urbanisation these questions caught the attention of the Financial Times (FT) who in 2012 decided to publish a series of three magazines along with a global awards scheme, the FT / Citi Ingenuity Awards: Urban Ideas in Action programme. The awards aimed to recognise and honour “ingenious individuals or organisations that have developed solutions to urban challenges” (FT publication, July 2012, p.3). 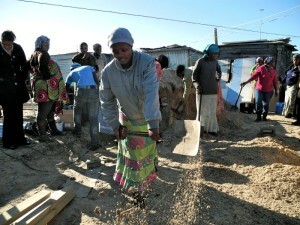 The South African Shack Dwellers Alliance participated in both award rounds (2012 – 2013) and won runner-up for the regional Africa submissions in 2013. The FT and Citi – financial service giants in global business news and banking – ran the awards together with Insead, a leading global business school who joined as a research partner. In 2012 the award entries were grouped in the categories of energy, education, health and infrastructure. Together, these were seen as providing a good overview of contemporary urban innovation. iKhayalami – an NGO part of the South African Shack Dwellers Alliance – used this platform to share its work around the community-driven, re-blocking process in Sheffield Road informal settlement in Cape Town. The community’s ideas were at the centre of the re-blocking process which addressed pertinent issues of decent sanitation and water, thereby uniting the community and restoring a sense of dignity. In short, every level of the project dealt with design, capacity building, engaging the state, policy-making and replicability. Nairobi’s Community Cooker Foundation won the 2012 awards while Sheffield Road reached the final round in its category. 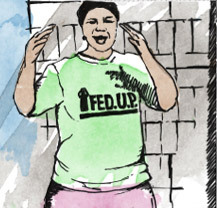 As the impact of re-blocking became more significant through its replication and growing support base, a new submission was entered under the banner of the South African Shack Dwellers Alliance which is affiliated to Shack Dwellers International (SDI). 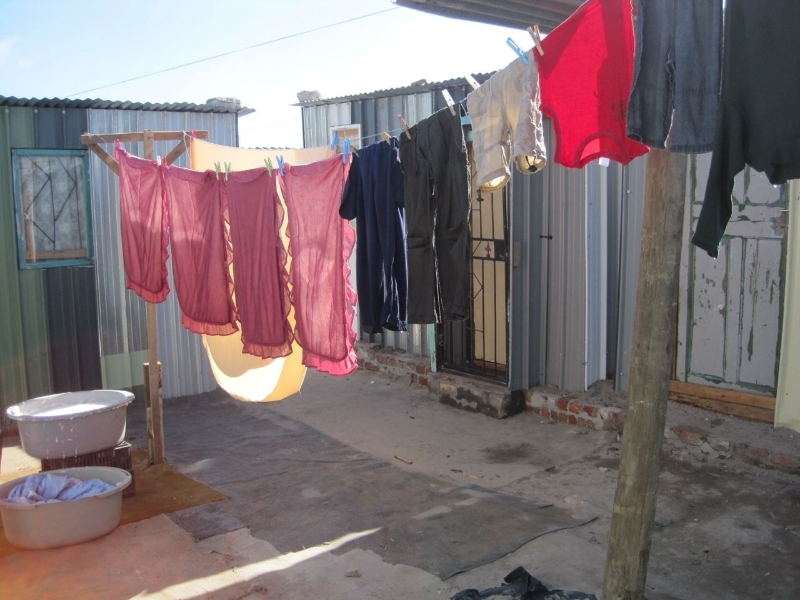 A courtyard in Sheffield Road informal settlement after re-blocking. In the meantime the 2013 award categories had changed to regional areas (Africa, Asia-Pacific, Europe, North and South America) to allow for a broader scope of applicants. A panel of judges (that included architects, city planners, academics and public policy specialists) would judge regional submissions based on the criteria of originality, impact (how much of a difference the project made), sustainability and project transferability to other cities. 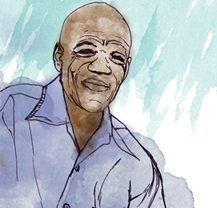 By this time, the increased scope of re-blocking in South Africa was evident: it had expanded from iKhayalami to the South African Shack Dwellers alliance and its associated communities. One of the alliance’s social movements – the Informal Settlement Network (ISN) – was at the forefront of the blocking-out agenda as its reach and relationship extended to numerous informal settlement communities throughout South Africa. The re-blocking approach also expanded to policy level whereby it was being drafted as a policy document for implementation in the City of Cape Town. This was done in consultation with the alliance partners. As in 2012, the idea of re-blocking was again at the centre of the alliance’s submission in 2013. This innovative and community-centred approach responds to the haphazard spatial layout of many informal settlements that makes it difficult for social or emergency services to gain access to settlements, particularly when there is a fire. Re-blocking is a social, community-driven process. On the one hand the re-blocking process is technical. It encompasses a spatial reorganisation of shacks that opens up courtyards and creates clear pathways in a settlement. This gives officials an opportunity to provide improved services as well as making the settlement more safe and secure. Re-blocked shacks are built using Zinc aluminum, which is more fire resistant than conventional materials. For Cape Town municipality, its “work with the alliance has provided a solution to the enormous housing backlog [it] is dealing with” (Seth Maqetuka, Executive Driector for Human Settlements in the City of Cape Town). Nkokheli Ncambele (ISN community leader) and Andy Bolnick (director of iKhayalami) at Ingenuity Awards ceremony in New York. After FT journalists visited the alliance in 2013, a panel discussion of the African finalists was held in London in September 2013. The award winners were announced in December 2013 in New York. Both Andy Bolnick and ISN community leader Nkokheli Ncambele attended the award ceremony. The alliance’s submission won runner-up in the Africa region, following Nairobi-based Sanergy, a network of low-cost franchised toilets which also won the overall award for 2013. Social entrepreneur and Sanergy co-founder, David Auerbach explains that Sanergy’s approach is a market-based one which follows the idea of creating something that can scale up (FT publication, July 2013, p. 13). In addressing the persisting problem of human waste Sanergy creates “a network of low-cost franchised toilets which are operated by resident micro-entrepreneurs on a pay-per-use basis” from where waste is collected, organically fertilised and sold to farmers for profit (Ibid). 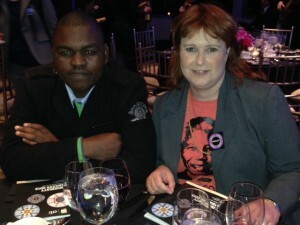 The Ingenuity Awards certainly saw a fascinating variety of innovative projects, of which the African submissions addressed some of the most pressing challenges faced by people living on the informal, social and economic margins of cities. For FT architecture and design critic, Edwin Heathcote this view “would dramatically redefine our notions of what a successful city looks like – drawing it in terms of population rather than its turnover … It turns on its head our idea of economic success in terms of personal space and residential footprint… In a stroke, [it] democratises our view of the city [whereby] innovations propose solutions for the informal as well as the developed city” (FT publication, July 2012, p.7). The question of a ‘successful’ city then reaches beyond mere ‘technical’ engagements to how these engagements happen. It is a question that asks, how can urban poor communities engage with the state and other actors in a way in which they are more equal and not more powerless?